This league is currently in progress and is scheduled to end on September 15, 2018. The Dallas Fort Worth area Pinball League presents the 2018 Summer II League! The 2018 Summer II League will feature 3 great venues! All league events coincide with a standalone IFPA tournament as well (as all venues have enough machines to run 2 events simultaneously). 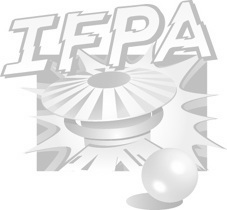 Please search the IFPA calendar for the standalone events. (1) We will have our first event on August 26 at Pat Danis' home in Flower Mound, Texas at Noon. (2) The second event is scheduled for Monday September 3 at the SPECIAL Labor Day Blowout Event at Kevin Moore's home in Princeton, Texas at Noon. This event includes: Special Guest Appearance by Barry Oursler, Stern Army SWAG provided as Kevin has Iron Maiden LE and Star Wars LE, and possibly more SWAG from two other sources as well (who may be announced later). (3) Finals will be at the Kim & Teri Keist's home in Lakeside, Texas on Saturday September 15 at 1 PM.